Lockheed Martin says the F-35 JSF test fleet has now completed a total of 331 test flights so far this year, and 125 since March 31. 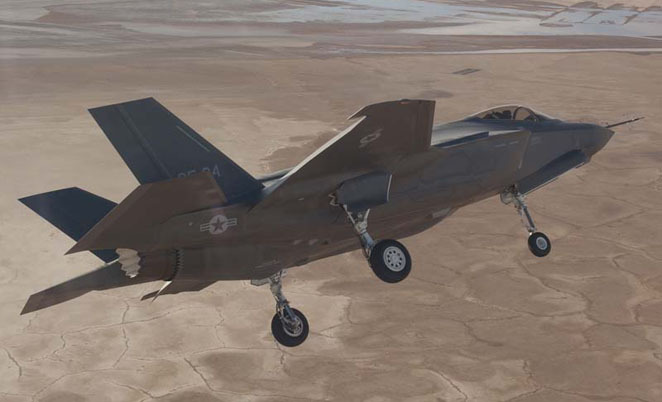 In providing an update on the F-35 flight test program so far this year, the F-35A CTOL jets have flown 146 times in 2011, the F-35B STOVL variant 144 flights and 84 vertical landings, and the F-35C CV aircraft has flown 41 times. Lockheed Martin says to date May 6 was the busiest day yet experienced for the F-35 flight test program, with a total of eight flights from all three flight test locations – Edwards AFB, Fort Worth and NAS Patuxent River. A day earlier on May 5 the F-35A variant passed the 250 flight milestone. Since flight testing began in 2006, F-35s of all variants have flown a total of 878 times.